Goshen and Monroe drivers have six trim levels of the 2016 Honda Accord to choose from, including the performance-focused Accord Sport. With additional power and an incomparable design, it has been created to speak to a very special class of driver. Just read through our quick overview to see if this is the right model to meet your needs. Power: With the Accord Sport, the 2.4L engine is able to put you in command of up to 189 hp and 182 lb-ft of torque, ensuring a thrilling drive during even on the most humdrum of commutes. Efficiency: With a Continuously Variable Transmission (CVT), the 2016 Accord Sport can achieve 26 mpg in the city and 35 mpg on the highway. * Paddle shifters come with this CVT — they sit on either side of the steering-wheel, letting you move the power ratio up or down at will. 19-Inch Alloy Wheels: Lightweight alloy wheels are used to ensure responsive performance, with 19-inch rims helping to separate the Sport from other models. LED Fog Lights: Cut through even the densest of conditions with state-of-the-art LED technology. LED Daytime Running Lights: LED Daytime Running Lights provide a bold edge to your Accord. 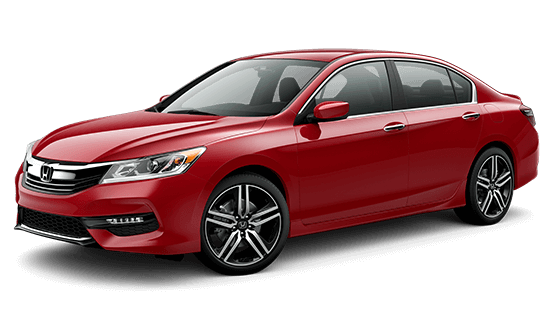 This is also the only trim level of the Accord available in San Merino red, and impressive design choices aren’t solely the domain of the exterior. You’ll find a handy 60/40-split fold-down rear seatback inside to allow effortless reconfiguration of your cargo and passenger space. 10-Way Power Driver’s Seats: Allows drivers to find the ideal configuration, and even comes with power lumbar support. Leather-Wrapped Steering Wheel: As you control the 2016 Honda Accord Sport through every twist and turn, you’ll be able to wrap your hands around a leather-trimmed steering wheel. Goshen and Monroe drivers who would like to take the 2016 Honda Accord Sport out for a test-drive should come to Middletown Honda. 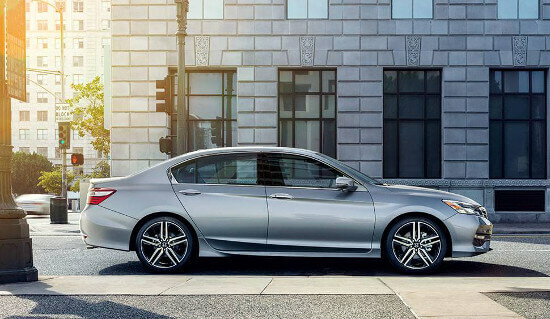 We love showing drivers what the Accord has to offer, and we hope to see you soon!